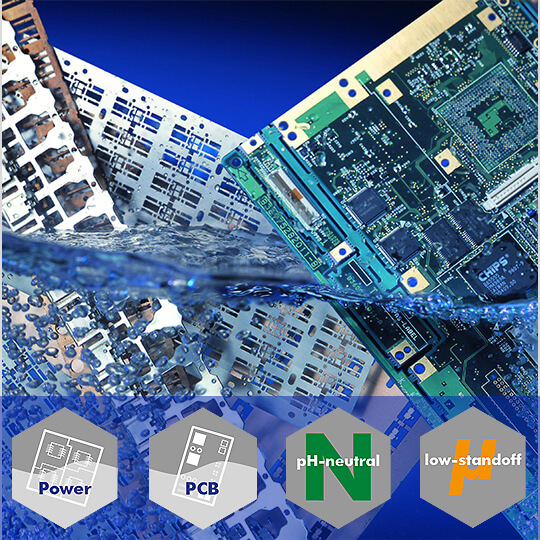 Water-based, pH-neutral cleaning agent developed for defluxing Power Electronics and PCBs in spray-in-air equipment. Reliably removes flux residues and provides excellent material compatibility. Can be used for defluxing of leadframes, discrete devices, power modules, power LEDs as well as PCBs with low-standoff components and features good deoxidation of copper surfaces.